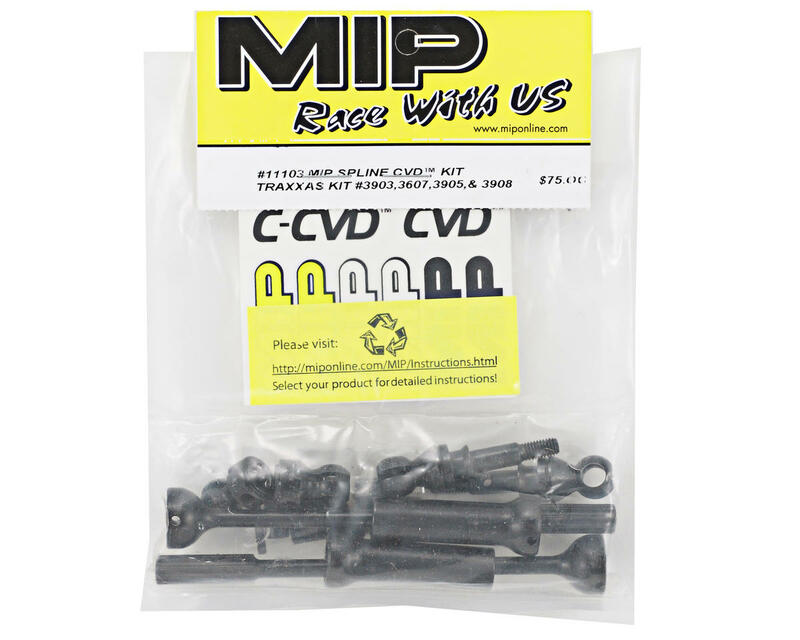 This is an optional MIP Splined CVD Kit, and is intended for use with the Traxxas E-Maxx family of trucks. 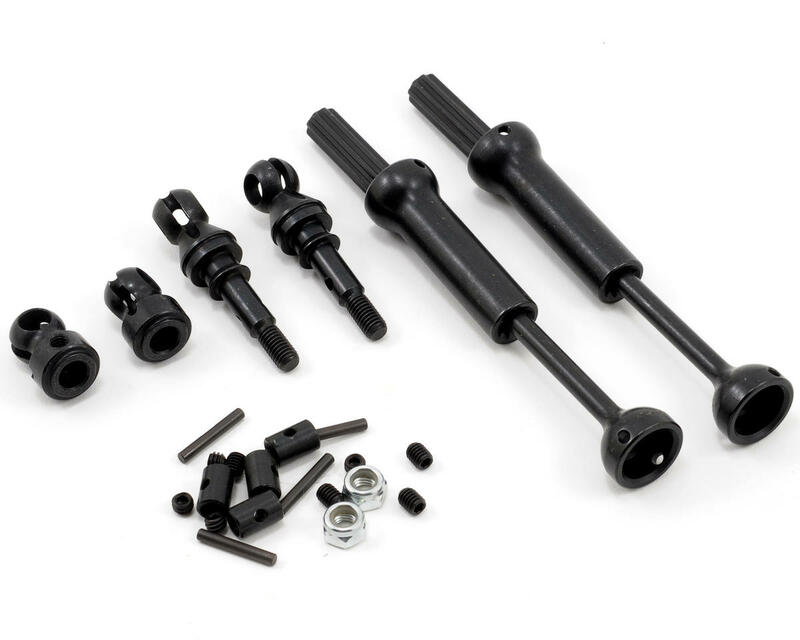 This MIP CVD™ Kit replaces the stock plastic drive shafts with Hardened High Strength Alloy. MIP Spline technology accommodates both long and short travel suspensions, as well as high power electric applications. Includes 6mm bores for the re-designed output shafts. MIP products feature a Wax Coated, Black Oxide finish, for appearance, durability and protection, and are 100% made in the USA! NOTE: The MIP Splined CVD kit is not compatible with Gen 1 E-Maxx trucks (TRA3906).